The June S&P/Case-Shiller home price readings came out yesterday, and below we provide our updated summary charts and tables of the data. Nineteen of twenty cities saw month-over-month gains in home prices, with New York seeing the only decline at -0.07%. 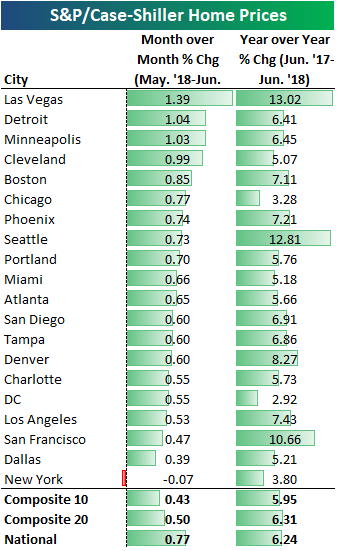 Las Vegas was up the most MoM at +1.39%, followed by Detroit and Minneapolis. Year-over-year, Las Vegas, Seattle, and San Francisco are up the most. 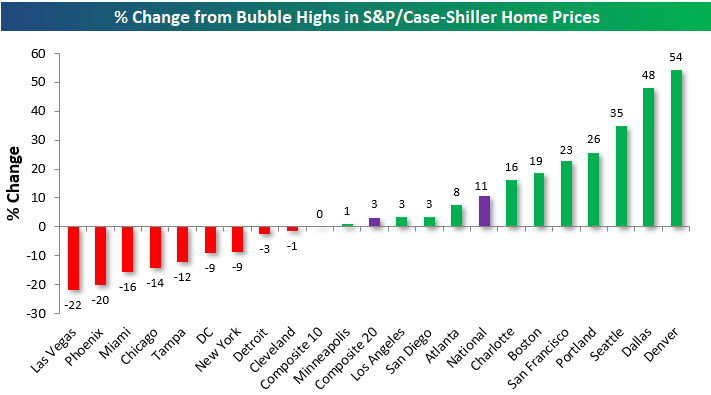 Below we show where home prices stand relative to their prior highs during the mid-2000s housing bubble. 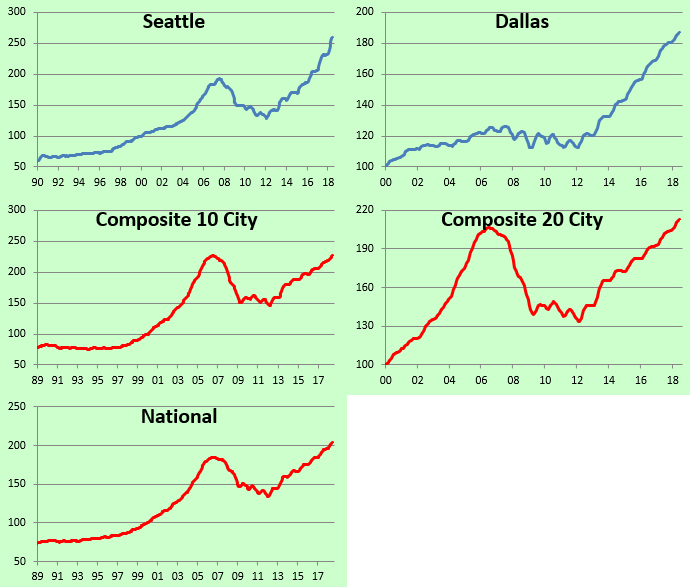 As shown, a majority of cities have now eclipsed their housing-bubble highs, with Denver, Dallas, Seattle, and Portland up the most. 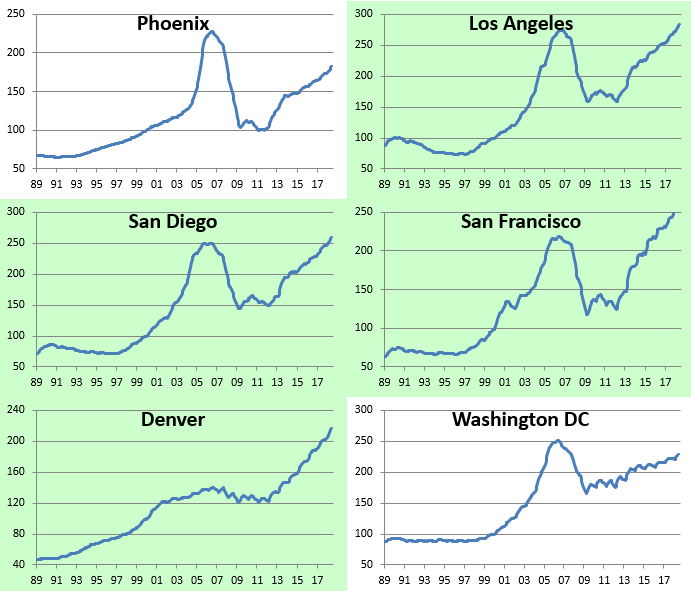 Denver home prices are 54% above their prior housing bubble highs. 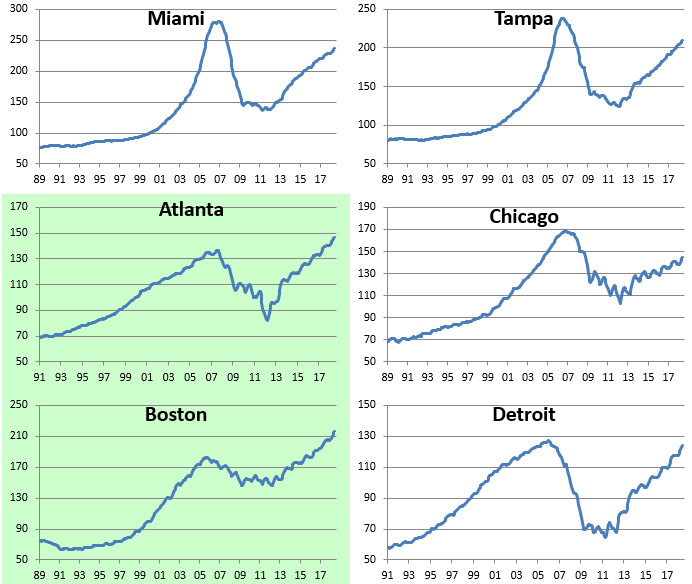 Las Vegas, Phoenix, Miami, Chicago, Tampa, DC, New York, Detroit, and Cleveland are the cities that have yet to clear their prior highs. 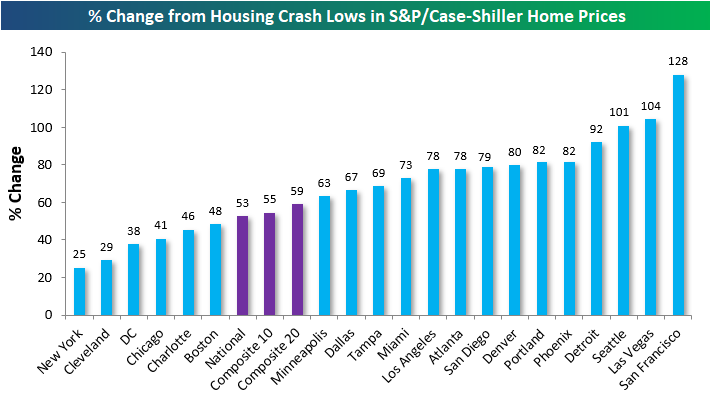 Our next chart shows how much each city is up off of its housing crash lows. As shown, the composite indices are all now up more than 50% off of their lows, while home prices in San Francisco, Las Vegas, and Seattle are up more than 100% off of their lows. New York real estate has seen the weakest recovery with a gain of just 25%. Below we provide charts of each city along with the three composite indices. Cities shaded in green are at new highs. 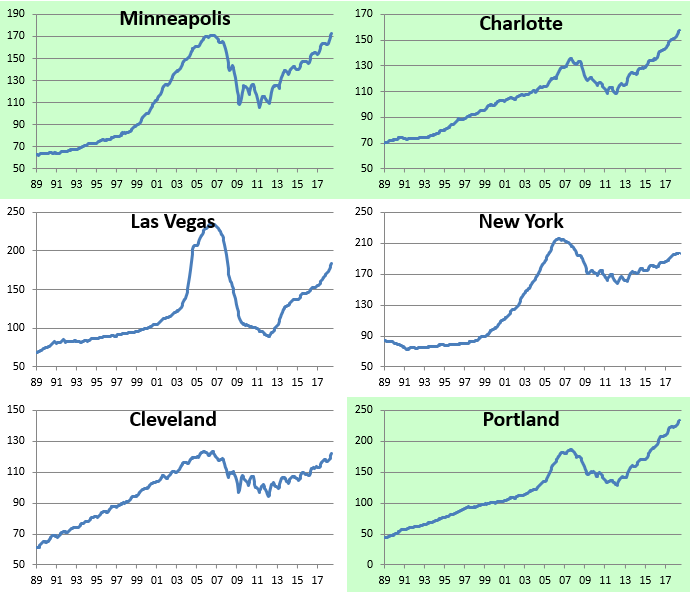 Minneapolis is the most recent city to hit a new high. Start a two-week free trial to Bespoke Premium for more housing market analysis.